We design and develop a premium collection of PTelephone Headsets by utilizing our available resources and rich industry experience. These are fitted with premium quality speakers having excellent sound quality. These are compatible with various systems and are available at the negotiable prices. Allow to connect with mobile devices such as smart-phones and tablets. · Can be connected with analog phone, ip phone, digital phone, Panasonic phone, KTS, dialpad etc. 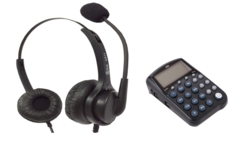 Our enterprise is a prominent manufacturer, exporting and importing an outstanding quality gamut of Headset Dialpad in the international market. This dial pad has RJ-45 jack for headset connectivity and USB port for connecting the data and voice connection and monitoring purposes. The provided Dialpad has soft keys panel that can be tap with a soft press. Users can turn on or off the instruments along with redial the latest caller immediately. Apart from this, the provided Dialpad can store 16 digital numbers in the list. Caller identification numbers and with backlight indicators is also provided. Being the most quality centric firm; we are manufacturing, exporting, and importing AR 11N Call Center Headsets With RJ 9 Connectivity. This headset is fabricated adhering to the industry standards. 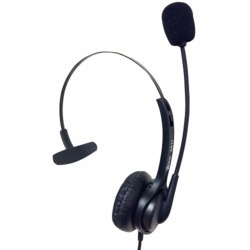 The fabrication of the headsets is processed using quality raw rubber, fiber and steel along with modern technology. In addition with it, the headsets have been clinically approved. Therefore, users listening or taking using the headsets will find it suitable and comfortable. The provided frequency in the head set even at loud never damages the hearing. Backed with years of domain proficiency, we are occupied in manufacturing, exporting and importing AR-18N Binaural Headset . 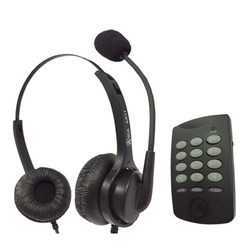 This headset is frequently used by the telephone representative of the call center, reception and other executive on voice or video call. 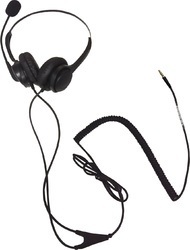 The provided headset offers one side hearing solution. 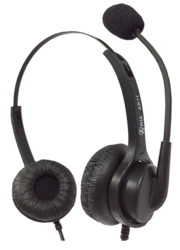 Offered headset is manufactured adhering to industry guidelines so that we deliver quality headset to the customers. Rubber holders, long communication 3.5mm cable, USB pin and noise cancellation are the striking features of the headset. Aria AR 11N Binaural Headset is comfortable, cost effective and meets all the demands of phone intensive environment. Noise cancellation headset filters out noisy back ground sound for clear voice transmission. 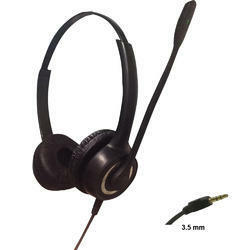 Call Center Headset AR 11N comes with connecting including USB, RJ9, 2.5mm, 3.5mm etc. Rj9 for Digital Phone, IP Phone, Analog Phone , KTS , Dial pad etc. 2.5mm for Digital Phone, IP Phone, Analog Phone, KTS, Panasonic phone etc. 3.5mm for Digital Phone, IP Phone, Analog Phone, KTS ,etc. 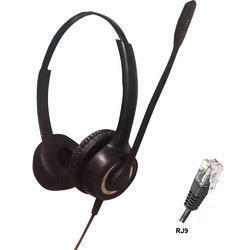 RJ9 connecting headset for IP phone, Digital phone, Analog phone, Dial pad etc. Our enterprise is a prominent manufacturer, exporting and importing an outstanding quality gamut of Telephone Dialpad in the international market. This dial pad has two RJ-45 jack for headset and monitoring purposes. The offered Dialpad has soft keys that can be tap with a soft press. Users can turn on or off the instruments along with redial the latest caller immediately. Moreover, it can store 16 digital numbers in the list. Caller identification numbers and with backlight indicators is the few impressive features.